This lemon sole recipe is Geoffrey Smeddle's simple take on lemon sole grenobloise, developed as part of a cooking campaign with the Sunday Herald. 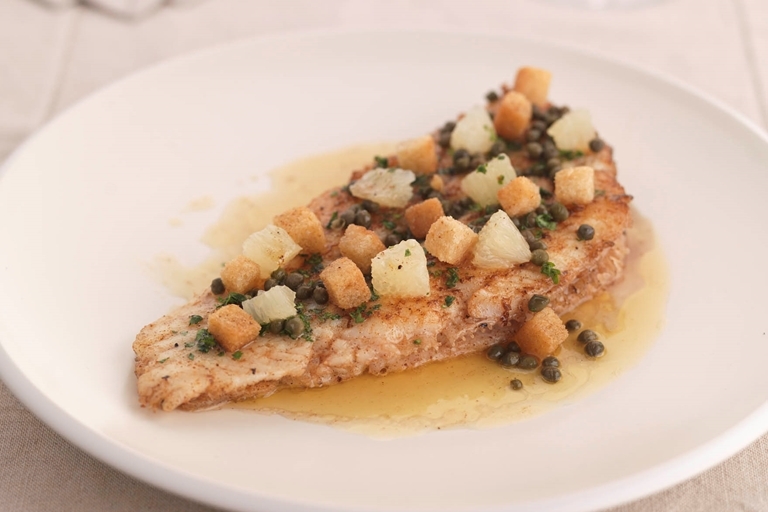 Grenobloise loosely means served with a sauce of browned butter, capers, parsley and lemon. If you are using the whole sole for this seafood recipe, ask your local fishmonger to remove the black skin, leaving the white skin on, and to remove the head.